Gerald S. George, Ph.D., author of the best-selling gymnastics textbook "Championship Gymnastics: Biomechanical Techniques for Shaping Winners" will be recognized as an honored Alumnus of Louisiana State University and be inducted into its special Alumni "Hall of Distinction." The black-tie award ceremony will be held on April 1, 2011 on the LSU Campus. This is a very special honor, particularly coming from Louisiana State University. I feel privileged to be associated with such a fine alma mater. Gerald S. George, Ph.D., author of the best-selling gymnastics textbook "Championship Gymnastics: Biomechanical Techniques for Shaping Winners" will be recognized as an honored Alumnus of Louisiana State University and be inducted into its special "Hall of Distinction." The black-tie award ceremony will be held on April 1, 2011 on the LSU Campus. The LSU Alumni Association Hall of Distinction recognizes alumni who have distinguished themselves and LSU throughout their careers, personal and civic accomplishments, volunteer activities and loyalty to their alma mater. For more information, go to http://www.lsualumni.org/?page_id=1376. 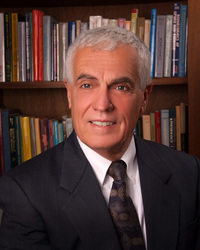 Dr. George presently serves as Professor Emeritus, Department of Kinesiology at the University of Louisiana at Lafayette, and is respected world-wide as a leading authority in the biomechanics of sport. 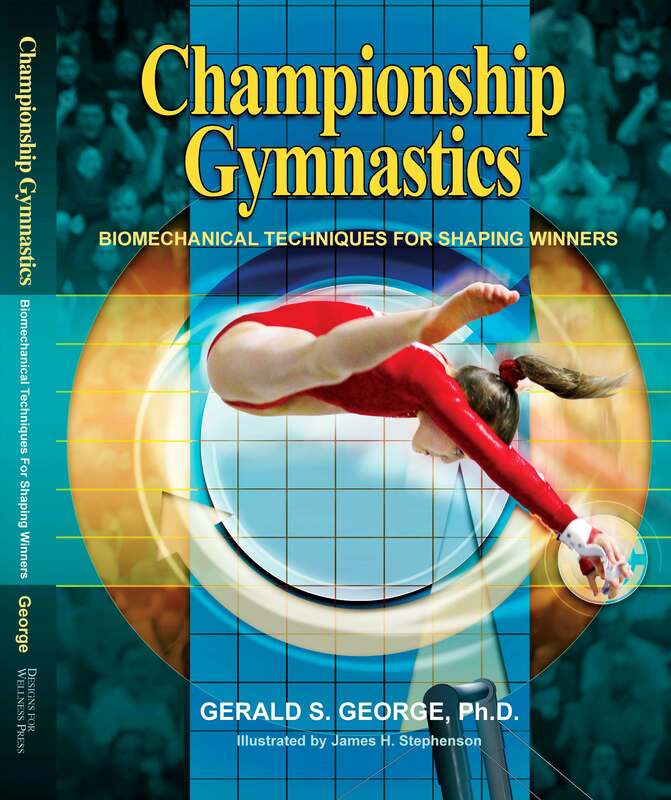 Having served as author, contributor and/or senior editor to more than 10 textbooks and 120 article publications specific to gymnastics training and technique, Dr. George’s writings, research and lectures are well-known throughout the gymnastics world. The most notable of his works include the classic "Biomechanics of Women’s Gymnastics," which was the best-selling gymnastics textbook in the world for 3 consecutive years. From 1975 to 2006, Dr. George served as a Professor of Biomechanics and Sport Law at the University of Louisiana at Lafayette. During that time he received several Endowed Professorship awards for his teaching and research, including the Patrick Rutherford Endowed Professorship as well as the Red Lerille Endowed Professorship. He also traveled the world as a guest lecturer in gymnastics and diving with a focus on the biomechanics of movement. His major contributions to the sport of gymnastics were for coaching, technical publications and gymnastics safety. In addition, Dr. George has served as a liability consultant in sport safety for the past 30 years. For more information on Dr. George, go to: http://www.winninggymnastics.com/about.php. His recently published book, "Championship Gymnastics: Biomechanical Techniques for Shaping Winners" (May, 2010 – Designs for Wellness Press) is currently the internationally best-selling book about gymnastics techniques in the world, and is being used in 27 different countries worldwide. For an overview of the book, go to: http://www.winninggymnastics.com/overview.php. Dr. George is dedicated to helping gymnasts train, and gymnastic coaches teach, the most effective techniques to create championship winners. For helpful articles and videos on improving gymnastics techniques, go to his website, http://www.WinningGymnastics.com, or call 1-888-796-5229 or 760-458-4993. Championship Gymnastics"Championship Gymnastics: Biomechanical Techniques for Shaping Winners" (May, 2010 Designs for Wellness Press) is currently the internationally best-selling book about gymnastics techniques in the world, and is being used in 27 different countries worldwide. WinningGymnastics.comWinningGymnastics.com is dedicated to helping gymnasts train, and gymnastic coaches teach, the most effective techniques to create championship winners. Founded by Dr. George, Professor Emeritus, Department of Kinesiology, University of Louisiana, our goal is to give you the tools to achieve success in gymnastics competition.